The clock strikes 3 pm on a Friday afternoon, your best friend’s birthday is this evening with two hours to spare before most Cape Town stores are closed, just enough time to buy a gift! As you’re about to leave your boss asks you to ‘quickly’ do her a favour. Today is not your day and by the time you’re done 30 minutes is all that remains. This is not enough time to choose and select a gift !? Fortunately, orchids are the perfect gift, last minute, early or somewhere in between. Orchids are an incredible plant available in a variety of colours, shapes and sizes suited to all friends and family. A dog might be man’s best friend, however, an orchid is undoubtedly man’s best gift. Orchids form multiple species but you’re most likely to find the following two in your local flower shop. From the beauty of orchids, you can understand why we’re obsessed. Our top 6 reasons why orchids make the perfect gifts! Orchids are an incredibly exotic plant that blooms with an unparalleled elegance. They come in such a diverse range of colours and species (28000 in fact), it would be hard not to find an orchid that suits your tastes and thus they make an incredibly versatile gift for all genders! Orchids have a long lifespan! Many new orchid owners are not aware that orchids live much longer than the period in which they flower (bloom). 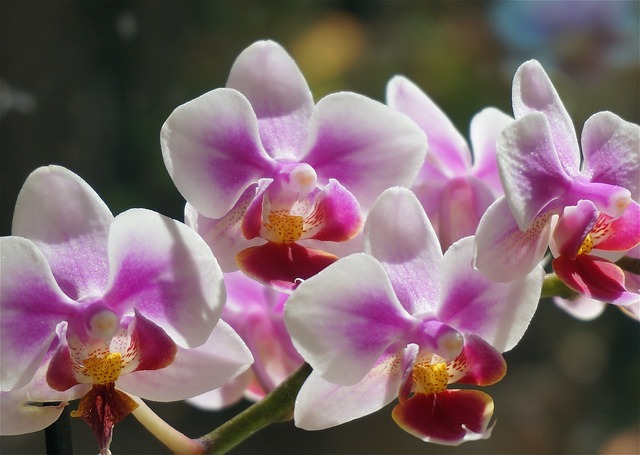 Although their lifespan depends on the species, phalaenopsis orchids bloom for between 2-3 months. After this, the plant goes into a resting period whereby it is storing energy to express itself on the world stages once more and produce one of nature’s most stunning flowers. 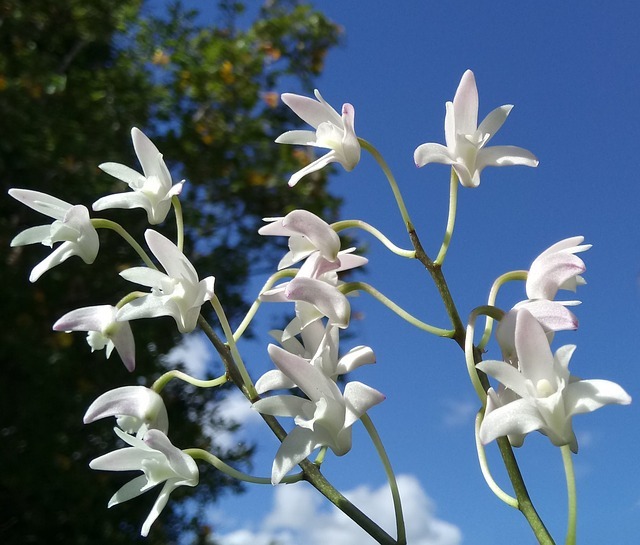 Orchids can thus live for several years, with some cases reporting decades. As their life-span is so long, they make the perfect gift for longevity, if correct instructions are given (the guide below could be attached to a present). Compared to conventional flowers that last between 1-3 weeks, if cared for correctly. Orchids make a much better gift. 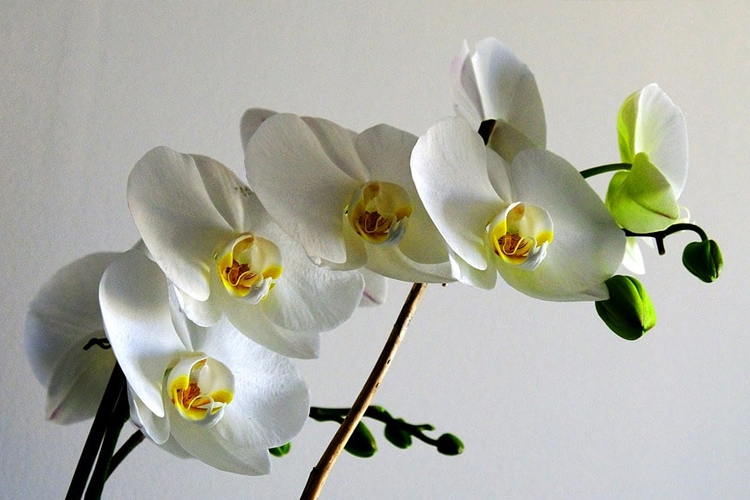 If the gift is for a lover, orchids are said to be an ancient symbol of love and luxury. The diamond of the plant kingdom without the cost. Orchids are the best plant-based gift. They are superior to a cactus or potted plant in beauty and character. Without caring for an orchid correctly all these wonderful characteristics would be lost thus follow our care tips to ensure your orchid can live out to its full potential! Orchids require moist conditions however, they should be allowed to dry out between watering. Insert a finger to determine the moisture of the soil. Once a week in winter, twice a week in summer. Orchids require a good amount of indirect sunlight. Place the orchid plant on a window sill, with an opaque tint to block direct rays. Bathrooms windows are often great for indirect sunlight. The temperature for orchids is best kept between 16 to 24 degrees Celsius. While in order to ensure blooming the temperature will need to fall below this average for roughly 3 consecutive weeks. In terms of fertilizer, different orchids require different ingredients but as a general rule, a basic mixture can consist or perlite, fir-bark and some peat moss. The bark will depend on the species of orchid. However, if you choose a reputable florist, the mixture provided will be enough to ensure survival for a few months. Orchids live longer than most flowers and can be raised to be a plant with years of enjoyment. If you’re looking to purchase an orchid or have one delivered look no further than Flower Warehouse ! How to preserve cut flowers?